Eliza Russell married Roswell Houghton, son of Alba P. Houghton and Phydelia Arnold, in circa 1866 mar 44 and 44 years; mar 34 years in 1900 census. George A. Houghton married Minnie Pollock in Jan 4, 1893 at Clayton, Jefferson Co., NY, USA, also Depauville, NY. Fred Ulysses Houghton married Addie S. Gould in circa 1898 age 22 y at marriage. Emma Rumble married Richard Phelan Houghton, son of Rolland Houghton and Judith Hurlburt, in 1872 mar 38 y in 1910. Catherine (?) married Richard Houghton. (?) Houghton married Joseph H. Killin. Joseph H. Killin married (?) Houghton, daughter of Richard Houghton and Catherine (?). Alice Bassett married Roland Houghton Jr, son of Rolland Houghton and Judith Hurlburt, in circa 1874 age 30 and 19; mar 23 y in 1900 census; mar 36 y in 1910 census. John Houghton married Nettie Hennekey in circa 1895 age 24 and 23; mar 16 y in 1910 census. Judith Houghton married Samuel Alfred Ritner in circa 1909. Susan Alice Houghton married Andrew Jackson Rogers Jr.
Nina S. Houghton married Oscar Wolfe. Thomas Houghton married Elizabeth J. (?) in circa 1858 mar "32" years in 1900 census, 42 y in 1910 census. Elizabeth J. (?) 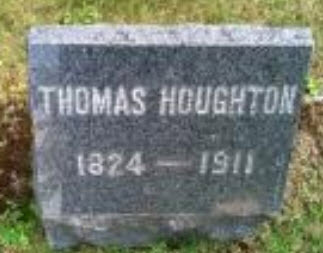 married Thomas Houghton in circa 1858 mar "32" years in 1900 census, 42 y in 1910 census. Frederick M. Houghton married Ruth P. Little in circa 1896 age 28 and 24. 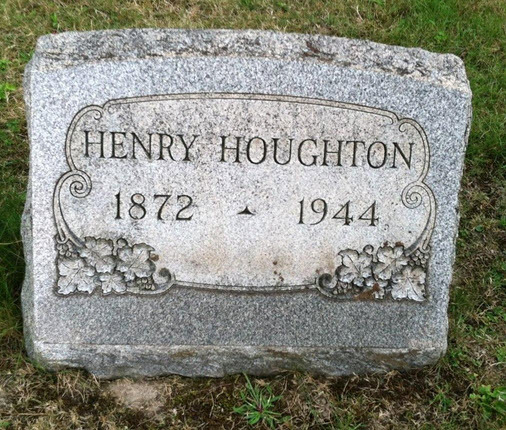 Henry Houghton married Teresa E. (?) in circa 1900 age 28 and 25. William Haughton married Antoinette (?) in circa 1877 Mar 23 y in 1900 census; mar 30 y in 1910 census. Antoinette (?) married William Haughton in circa 1877 Mar 23 y in 1900 census; mar 30 y in 1910 census.